INDIA . 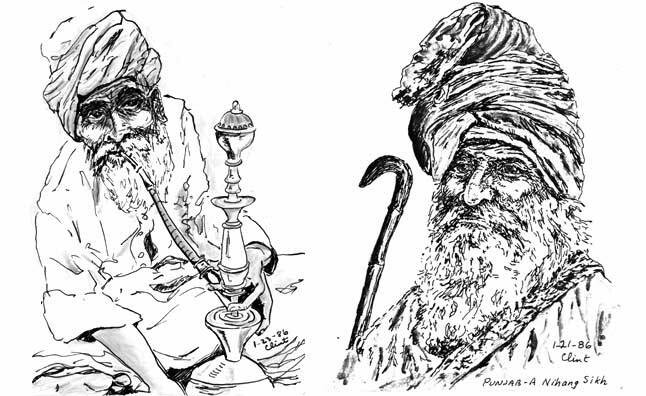 Punjabis . . A Muslim pipe smoker at left and a Sikh on the right..Tourism was discouraged in the northern provinces of Kashmir and Punjab which I missed..